Get FREE SHIPPING on your Cobb AccessPORTs at ModBargains.com! "The first thing I would like to say about the COBB AccessPort is that I have it installed on my own BMW E92 335i and I absolutely love it! First off, the installation is a breeze. It takes only minutes and is just about as easy as it gets. The COBB AccessPort comes with truly great technology that is easy to update and easy to use. The best analogy I can use is that COBB has achieved what Apple achieved when it released the first iPhone. This product is setting a new standard in the BMW market in terms of ease of use with great performing features." "The performance is incredible! 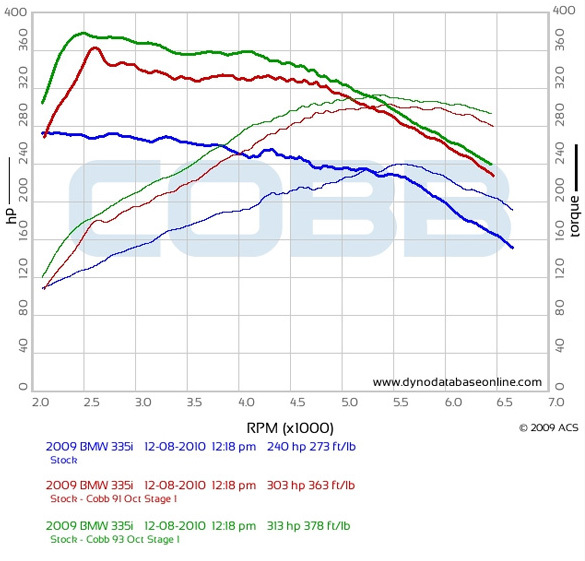 My car has never felt faster, and I have had other types of tuning software on my car before. Not only is it quick & fast, but more importantly the power is delivered SMOOTHLY throughout the entire powerband. There is no herky-jerky feel to this product. 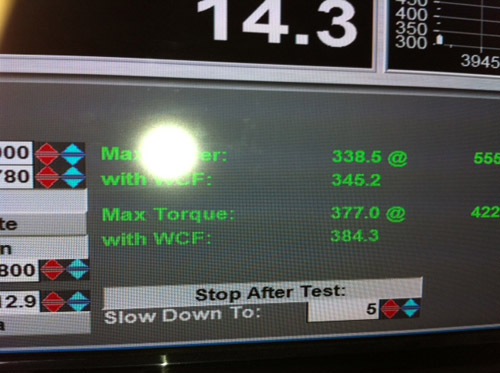 The car pulls hard with no hiccups through the entire RPM range. 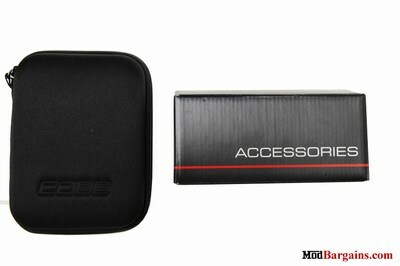 If you’re looking for a great way to increase the performance on your car, I highly recommend the COBB AccessPort." Unleash hidden power within your BMW 135i, 1M, 335i/xi/is, 535i/xi, or Z4 with the Cobb AccessPORT ECU Flash Tuner. The Cobb AccessPORT ECU Flash simply replaces conservative factory settings with more aggressive calibrations that result in impressive gains in torque and horsepower while still maintaining a high degree of safety for your N54 engine. The tuning is extremely flexible and allows you to choose on the fly one of the performance maps that are loaded onto the AccessPORT. If you are looking to extract the most out of your N54 the AccessPORT even allows for custom mapping. Typical performance gains from the Cobb AccessPORT are increases of 30% peak horsepower and an amazing 38% increase in peak torque. This tune is an ECU flash, not a piggy-back tuner, there will be no added devices to your vehicle's ECU with the Cobb AccessPORT. 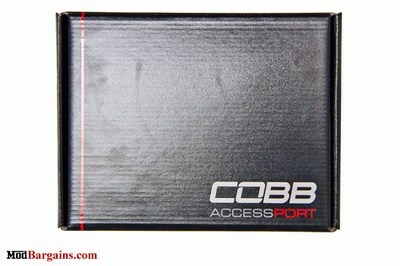 Cobb NOW Includes a Zipper Case with a purchase of a Cobb AccessPORT. "The day before the rally my girlfriend suggested I just buy a AP, use it for the day, and give someone a deal on the forums. I gave ModBargains a call. They sold me the AP at the same 1addicts price I bought my first one and Gilbert even delivered it to my hotel when I got in at 10PM. I installed the tune, drove the car in the event and ended up actually winning a set of HRE wheels. Might have been the best weekend ever. I can't give enough thanks to Gilbert and Modbargains for really going out of their way to get me my purchase. I don't think any vender of anything I have ever purchased in my life have gone that out of their way for me." 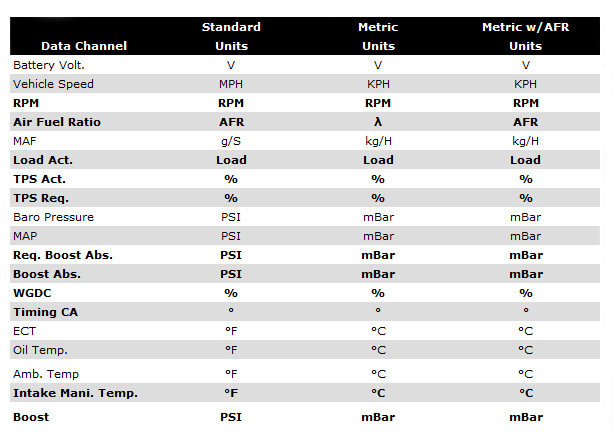 The Cobb AccessPORT for your 135i, 335i/xi, or 535i/xi, 1M, or Z4 can monitor all of the following values. Monitors in bold indicate a default logging value. Important Note - Occasionally an "Unrecognized ROM" will be discovered during the AccessPORT Install process. 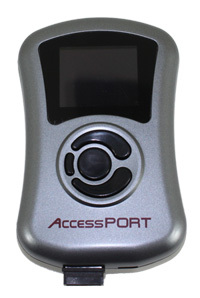 If an "Unrecognized ROM" is encountered, the user will be prompted to dump the ROM using the onboard Dump ROM tool built into the AccessPORT. Simple step-by-step instructions for dumping an "Unrecognized ROM" can be found here. The ROM is then emailed to COBB Tuning and incorporated into the firmware. COBB Tuning will make every effort to incorporate these new ROMs as quickly as possible. This process can take up to five business days. See the "Supported ROMs" Tab above for a complete list on what ROMs are currently supported. Installation for the Cobb AccessPORT for the N54 is a breeze, and does not require any tools or computers. Below is a simple installation tutorial. For more tutorials on using the Cobb AccessPORT see the "Tutorials" tab at the top of the listing. Average Customer Review: 5 Based on 6 Reviews. Brought this item and was really pleased with it. Super easy to use. All other reviews I've read about it are true. Extra power that I could easily feel. If someone were to steal this from me, I would purchase another one from mod bargains in a heartbeat. Service was great, delivery was fast. Not one single complaint about anything. Owned a Jb3 for years and was tired of the manual labor. Talked to alan and helped me out big time with this purchase. So easy to install, uninstall, and update software. The power is amazing and its soo smooth when WOT. WOW. 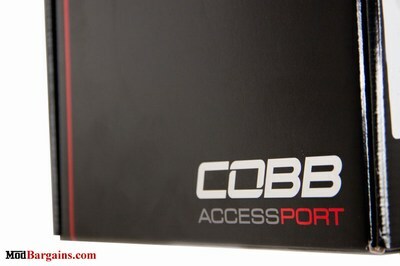 I love the COBB Accessport..It is a MUST HAVE !! My 335i is a beast now...just love it. ModBargains...and a big THANK YOU to Gilbert. If you are a Speed & Power person the COBB is what you need to get. Thank you so very much Alan go looking out. You will not want to every drive you ride with the stock software loaded again. A BIG THANKS to Alan and Mike and company. I installed the "COBB" on my 2008 335I. When you go for your test drive with the new software upgrade you will "LOVE IT". If you do not have it you need to get it. And very easy basic to install. Below you will find various videos demonstrating how to use your Cobb AccessPORT N54 tuner. Below you will find the latest in support for the Cobb AccessPORT for the N54. Click the icons below to download the AccessPORT Manager 2.0 software. AccessPORT Manager 2.0 for Windows and OSX operating systems is the new all-in-one AccessPORT management software that replaces previous versions of AccessPORT Manager and AccessPORT Updater. This new simple and intuitive application is all you need to perform AccessPORT map and datalog file management and keep your AccessPORT firmware up to date!